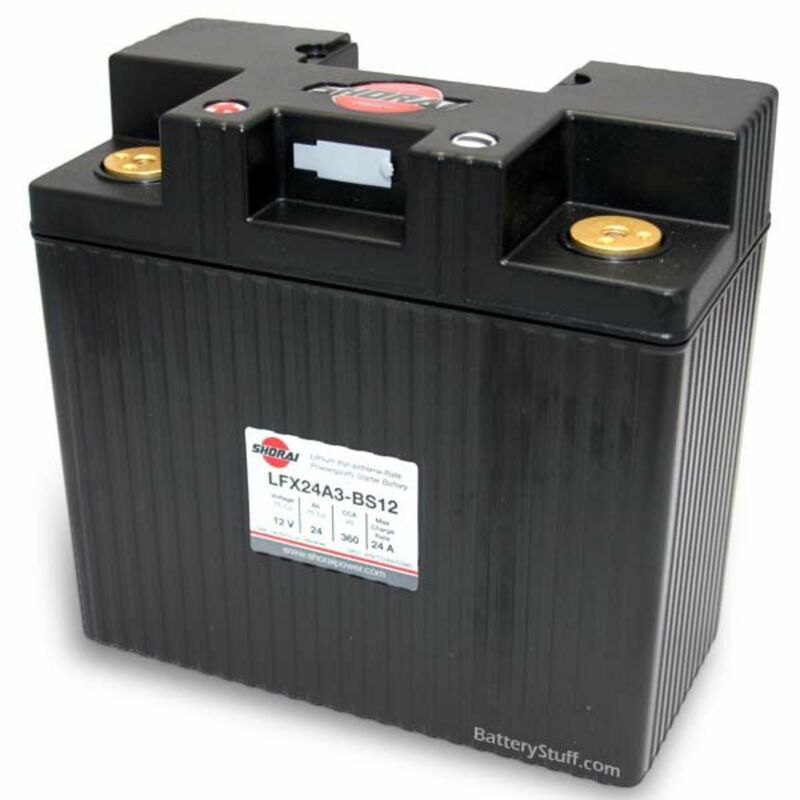 The Lithium Iron Phosphate battery is the ultimate in weight versus power technology. This battery weighs in at only 3.97 pounds and offers an incredible 360 C.C.A. 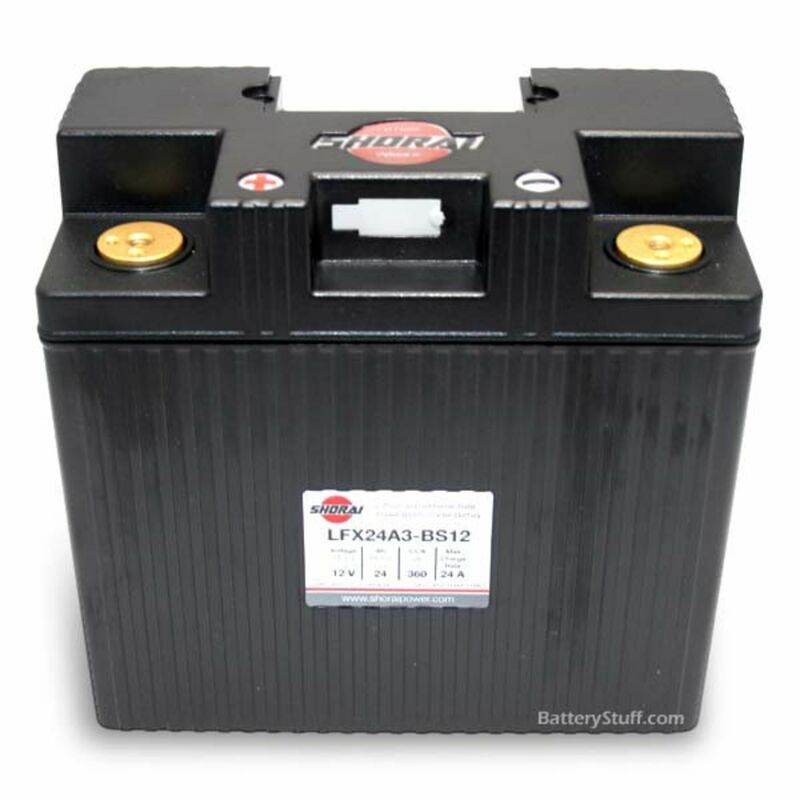 This is a drop in replacement for your Lead-acid battery, and will require no change to your stock charging system. The LFX24A3-BS12 battery is the “light duty” version , perfect for any application that requires that extra weight savings. 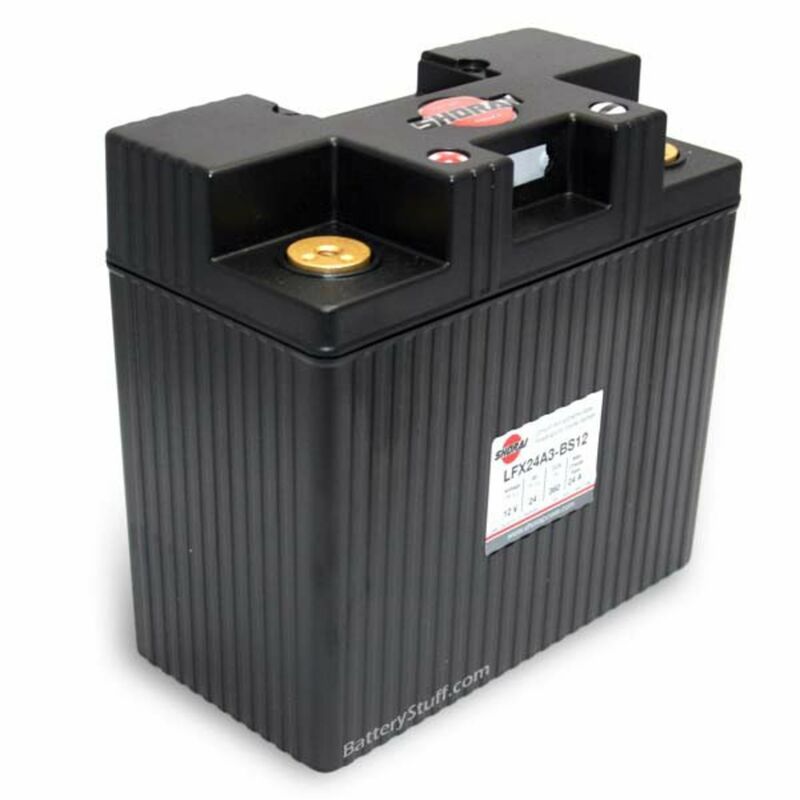 It is the lightest version of this lithium Iron Phosphate battery in this size and has more a weight savings of .2lbs on the LFX27A3-BS12, and a savings of just under 1 lb. (.99lb) on the LFX36A3-BS12 . We recommend using this battery for all applications listed, especially if you are needing to maximize weight savings for racing applications. We recommend using these batteries in temperatures above 0 degrees Celsius. This battery may require spacers to make it work in your application. Included with this battery are foam spacers that will aid in fitting this battery. ** PbEq equals Lead-Acid Equivalent. This means that a 24 AH PbEq Lithium Iron Phosphate battery will perform the same as a 24 amp hour Lead-acid battery. Do you own the LFX24A3-BS12? Please, tell us what you think about it. It helps us provide you with better products. Please note that it may take up to 72 hours for your review to appear.